I’m not sure what it is about the AT-AT Driver. Maybe it is the color scheme or the design of the armor. Whatever the reason, this guy was one of my favorite action figures when I was a kid. He just looks awesome and he came with a cool blaster rifle too. 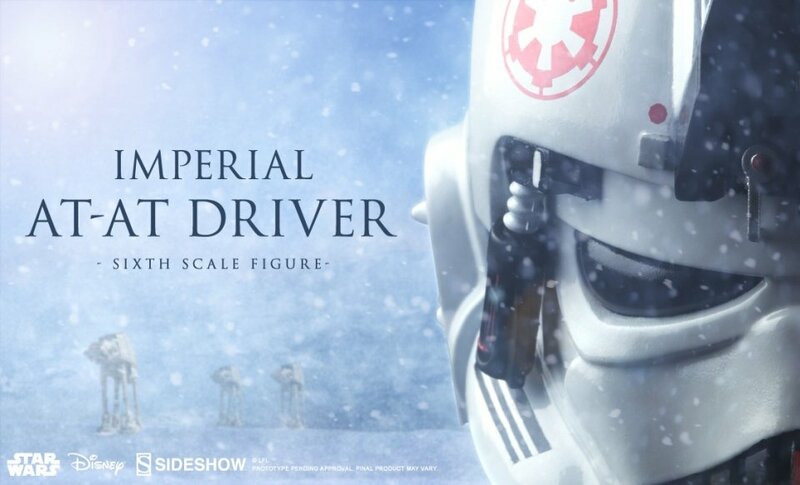 Now, Sideshow Collectibles has given us a sneak peek at their new Imperial AT-AT Driver Sixth Scale Figure. Trained to pilot the All Terrain Armored Transport these tried and true soldiers of the Empire had one intense job! Following the releases of Sideshow’s other Star Wars pilots of Luke Skywalker: Red Five X-Wing and Imperial TIE Fighter Pilot will be the Imperial AT-AT Driver sixth scale figure! This Empire soldier will be available for Pre-Order in the future! Attending Comic-Con in San Diego in 2015? Be sure to stop by the Sideshow booth to see the full figure with your own eyes! We may only have this one image right now, but it is enough to get me excited.